Korn guitarist Brian "Head" Welch was recently interviewed by Bakersfield.com, you can read some excerpts below. 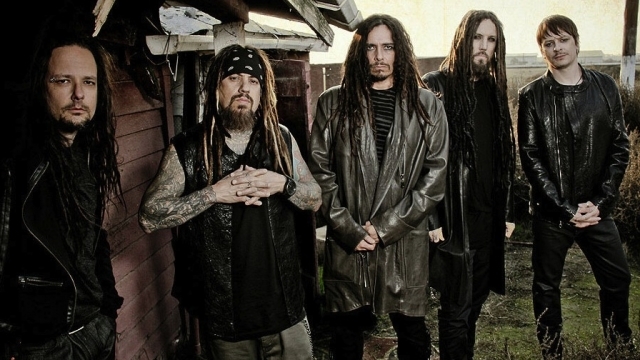 About the progress of the recording sessions for the band's new album, due out later this year, he said: "We are finishing some songs for the new Korn record. We have an announcement coming out pretty soon with the producer that we're working with, and new record label and management things." 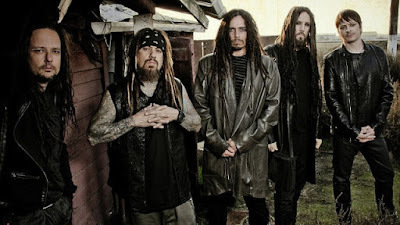 He continued: "The new record just with me and Munky being back together, we've had three years to tour and jam together and so we really came together and focused heavily on guitars on this record. So it's going to be a guitar-heavy Korn record and it sounds… I believe what the true fans have been waiting for for a long time. I just feel like that they're going to be really satisfied and excited about this album. We are pumped."